The excitement of a change in the waters. A deviation from the norm when a new act emerges with a whole new sound set ready to percolate the Birmingham music scene. Roll back to a balmy 2013 and Swim Deep were to be that very band. Their effortlessly cool blissed-out delivery of hook-laden melodies systematically spearheaded the b-town pop movement. As they return with their debut album's follow up they look set to do it all over again. I warn you though, forget everything you know about the band thus far because this is them on a whole new wavelength. Sounding like nothing you've ever heard before, 'Mothers' is a journey in to the psychedelic back passages of your mind where bright lights swirl amongst flashing imagery of wherever your desires may fall. Recorded across Brussels and London as 2014 drew to a close, the album's distinct 90's vibe is evident from the offset as the perpetuated synths on One Great Song And I Could Change The World grace its opening. Whilst not the easiest title to say in a hurry, the track's bouncy percussion and jazzy guitars most certainly make up for it. Carrying forth this energy in to quite possibly the closest crossover to 'Where The Heaven Are We', To My Brother's flamboyant floaty melodies and head-popping arpeggiated synths offer a futuristic look in to what lays ahead on outing number two. Green Conduit and Heavenly Moment mark a vast turning point for the LP. Slowing things down both track's explore a more expansive soundscape with glistening synths and euphoric guitar breakdowns on the latter. This is where things start to feel like a very different Swim Deep. Even when Namaste picks things up their unfamiliarity remains. Almost verging on poppy boy-band territory, the single's jittering jazz hands at the ready synth-work and exhilarated climax showcase a stark turning point for the Brummie lads. And it's this change that stays with the majority of the record as it coasts in to its midway point with the experimental Forever Spaceman and floaty Imagination. Elsewhere Grand Affection keeps things grooving with its big hitting 80's inspired synths and drum machine-esque percussion. As 'Mothers' enters its final stage the cosmetic changes become ever the more obvious. "If It's hope that kills me then I won't die" chants Austin Williams on Laniakea. A far cry from their optimism fuelled ride a few years back it would seem. It looks like their starry eyed vision has awoken to the realities that surround us, and let's face it, our live's aren't pretty at the best of times. If one thing's clear though, the band have broken from any limitations this time around. Doing things their way has resulted in a uniquely differentiating approach to songwriting, demonstrated freeheartedly in closer Fuelho Boogie - an 8 minute explosion of elongated guitars and its rave inspired outro. Whilst I'm not 100% sold to this new direction, I'm sure it'll be a grower as time prevails. 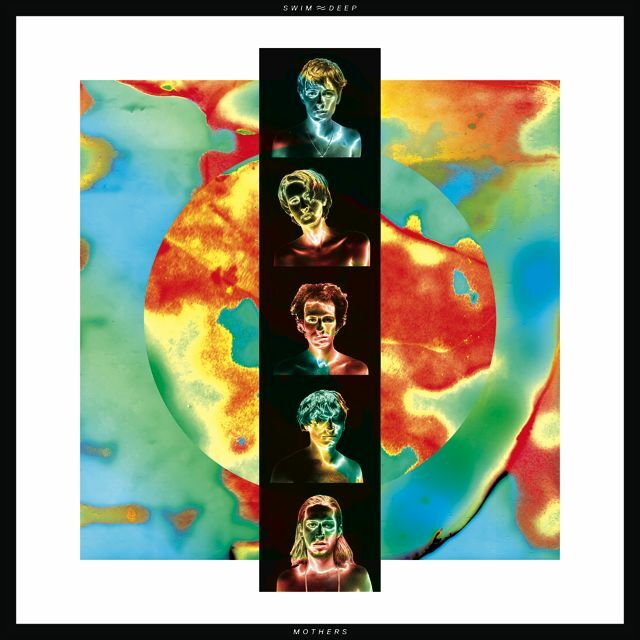 Swim Deep's second album 'Mothers' will be released through RCA / Chess Club on 02 October 2015. You can Pre-Order the record from iTunes here.